Though their presence in the historical record has often been overlooked, Native Hawaiians actually began coming to Oregon during the earliest periods of Territorial settlement. 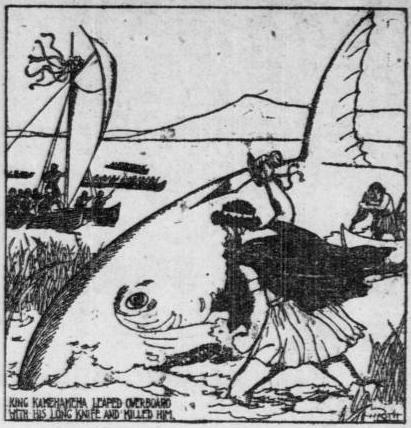 "A Kanaka Belle" from Portland Sunday Oregonian, May 21, 1905, p.41. Although it was sometimes used as such, "Kanaka" was not inherently a racial slur. In fact, it comes from the Native Hawaiians' own term of self-identification, kanaka maoli. In 1811, there were 24 “Sandwich Islanders” among the crew of men sent by John Jacob Astor to establish his trading post at the mouth of the Columbia River. One of these men was Naukane, known to the Euro-Americans of the Northwest as ‘John Cox’ (sometimes ‘Coxe’). Cox would later be remembered as “a bold and trustworthy fellow… a prodigy of wit and humor” (Alexander Ross, Adventures of the First Settlers on the Oregon or Columbia River, 1810-1813, p.115). He was the first Polynesian person to travel into the Northwest interior, accompanying David Thompson on a voyage up the Columbia and helping to establish the Pacific Fur Company’s first inland post, Spokane House. Later, his travels on behalf of the company would take him to Montana, across the continent to Montreal, over the Atlantic to England, and eventually all the way around the globe, back to the Pacific. Throughout the subsequent decades, Hawaiians continued to work in significant numbers for the northwestern fur trapping companies. At Fort Vancouver and other posts, Polynesians were valued for their skills as swimmers, navigators, boat builders, fishers, and strong manual laborers. They generally signed two- or three-year employment contracts. Most returned to the Islands after completing their term of service, but a not insignificant number settled permanently on the mainland. These people have left a legacy in Oregon place names, such as Kanaka Flats in Jacksonville (Kanaka means ‘person’ in Hawaiian language) and the Owyhee River in southeastern Oregon (Owyhee is an archaic spelling of Hawaii). 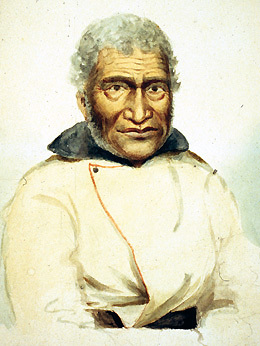 According to research of the National Park Service, Native Hawaiians also played a significant role in helping to establish the Whitman Mission in 1836. Throughout the territorial and early statehood periods, there was but scant journalistic treatment of the Hawaiian people living on the mainland. Almost always referred to as “Kanakas” in Oregon papers, they generally received press coverage only when they were involved in crimes. Reports of brawls between members of different minority groups were a journalistic mainstay of this period–see one violent example from the May 19, 1860 Jacksonville Oregon Sentinel. In times of Indian unrest, settlers of Southern Oregon sometimes viewed the Native Hawaiians in their midst with outright suspicion. “There were several Kanakas with the Modocs who were advising the Indians to kill the whites and prevent them from surveying and settling their land,” reported the Sentinel on June 26, 1858. The rise of the American middle class in the early decades of the 20th century further fueled this burgeoning interest. More people than ever had sufficient income and leisure time for travel, and it was at this time that Hawaii began to develop its reputation as a “tropical paradise” tourist destination. From Oregon ports, the Islands were particularly accessible, even in the days before commercial airline travel. 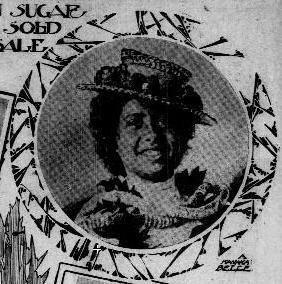 An item in the May 27, 1914 Klamath Falls Evening Herald announced ‘Ladies To Give Hawaiian Tea’. 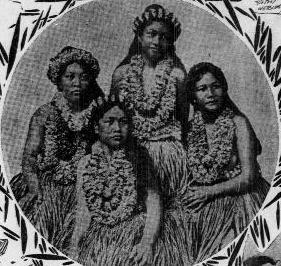 “Hawaiian melodies, Hawaiian costumes, and Hawaiian refreshments” were to be featured at the event; some of the society ladies who had visited the Islands were also scheduled to read papers they had prepared about their vacations. Another item of interest from this period is ‘Hawaiian Play “Bird Of Paradise” At Page Friday’, from the Medford Mail Tribune of November 12, 1913. The reviewer reports that this drama offers an authentic and unsentimental view of life in the Islands–though his description of the plot strongly suggests otherwise. While much of this popular-cultural interest in Hawaii and Polynesia was no doubt sincere, we cannot escape the impression that it often proceeded from rather condescending attitudes of romanticized exoticism. In fact, these stories demonstrate the turn-of-the-century roots of a “South Pacific chic” that would culminate in the kitschy “Tiki Bar” fad of the 1940’s and 50’s. These retro lounges are now enjoying a contemporary revival in Portland, as elsewhere. 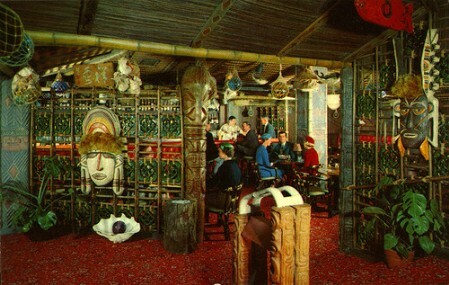 Pseudo-Hawaiian Cocktail Kitsch: Inside the original Trader Vic's restaurant and lounge in Portland's Benson Hotel. Mai Tais were served here from 1959 until the doors were closed in 1996. Vintage postcard image. Mike Burton…did you ever find the totem pole???? Great post! 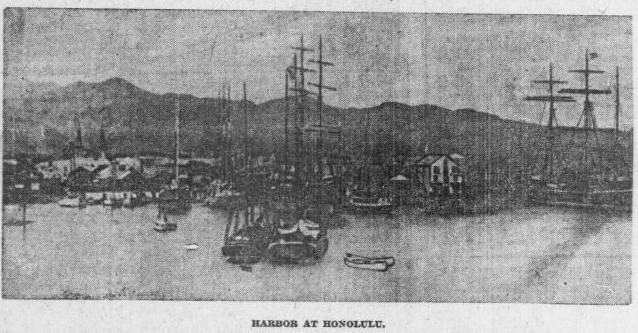 Here is one of numerous articles dealing with Hawaiians in the Northwest, found in a Hawaiian-Language Newspapers. I wonder if these and other papers and books from Hawaii still survive somewhere in Oregon. Aloha, see also this list of Hawaiians living in Jacksonville, Oregon in 1868! Really a great Article. Thanks for Sharing. 3 Pings/Trackbacks for "Aloha, Oregon! Hawaiians In Northwest History"